The article will be printed in the EMEA region (English, Dutch, French, German, Italian and Spanish), as well as in Canada (English and French), Latin America (Spanish) and Brazil (Portuguese). I’ve recently invested in a full body red light therapy lamp systems from Red Light Rising Redlightrising.co.uk , and as a customer I now have a Red Light Rising discount code of 5% for my friends. What is Red light treatment? For more details please check out their website and remember to use my Red Light Rising discount code for your lights and start to see the health benefits yourself. Applying heat to a joint can reduce stiffness by as much as 20%, and effects of red light therapy are thought to be similar. This can have a cyclical pain-reduction result as less stiffness and associated pain can encourage you to use a joint more, which can reduce further stiffness. Use my Red Light Rising Discount Code to get started. The improved blood flow and lymphatic circulation aid the removal of waste products from the lymphatic system. This reduces and prevents the build-up of fluids which can cause edema, therefore reducing pain associated with swelling and can even enhance the healing mechanisms. Use my Red Light Rising Discount Code to get started. Visible red light has been shown to stimulates melanocyte migration and proliferation resulting in repigmentation of vitiligo patches. However, there are only a few studies published on the efficacy of red light in vitiligo. This is a prospective single-blind randomized clinical trial to assess efficacy of red light in the treatment of vitiligo. Use my Red Light Rising Discount Code to get started. Red light therapy at certain wavelengths is thought to stimulate the productions of collagen and elastin fibers, as well as the creation of new capillaries. A greater number of capillaries within the skin will improve blood flow to the skin tissues and therefore the transportation of oxygen and nutrients to the cells, while the extra collagen and elastin will smooth and plump-out the skin. This can slow and reduce the effects of aging on the skin, giving a more youthful appearance. Use my Red Light Rising Discount Code to get started: “GIRLBIKE” and head over to my Instagram to see how my red light journey is going. I’m so unbelievably excited as I write this. 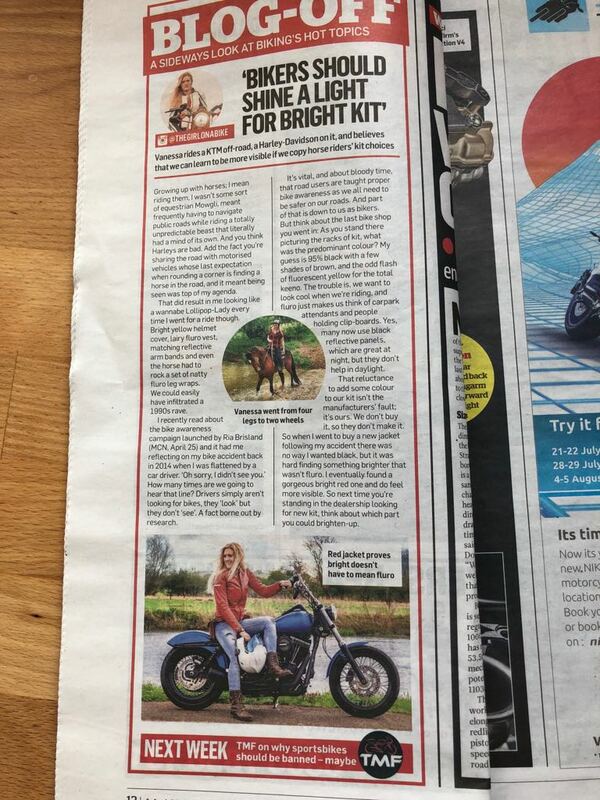 I’ve had my first proper full article published in the form of a bucked list piece in the worlds largest weekly motorcycle publication, MCN aka Motorcycle News. 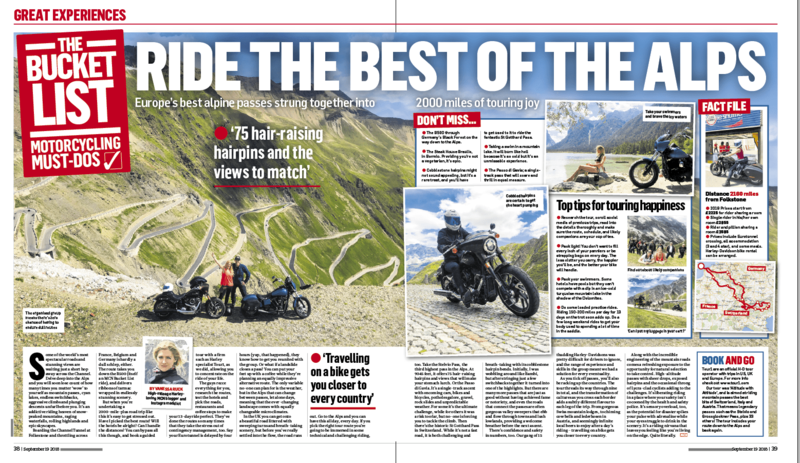 The article is a review of my 2,700 mile adventure through some of the best Alpine roads with Tour1 on their Altitude with attitude tour in 2018. 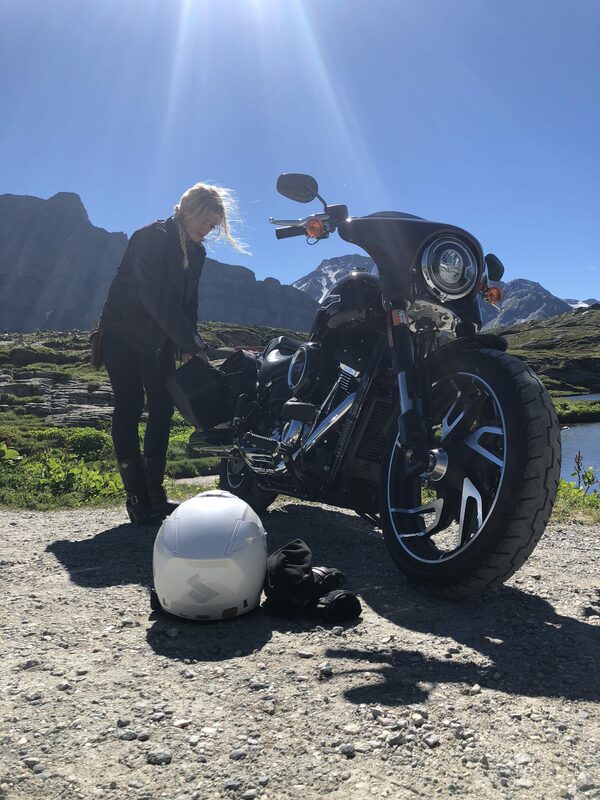 Harley-Davidson Sport Glide review – TRY IT… YOU MIGHT LIKE IT! 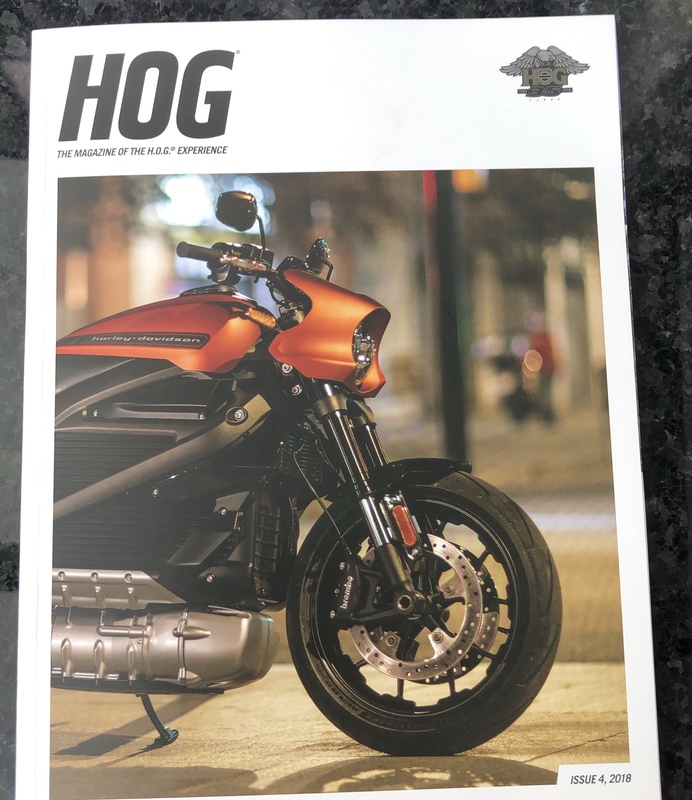 I recently had the pleasure of riding the 2018 Softail Sport Glide on a mega 2,700 road trip, and Harley-Davidson have posted my Harley-Davidson Sport Glide review. 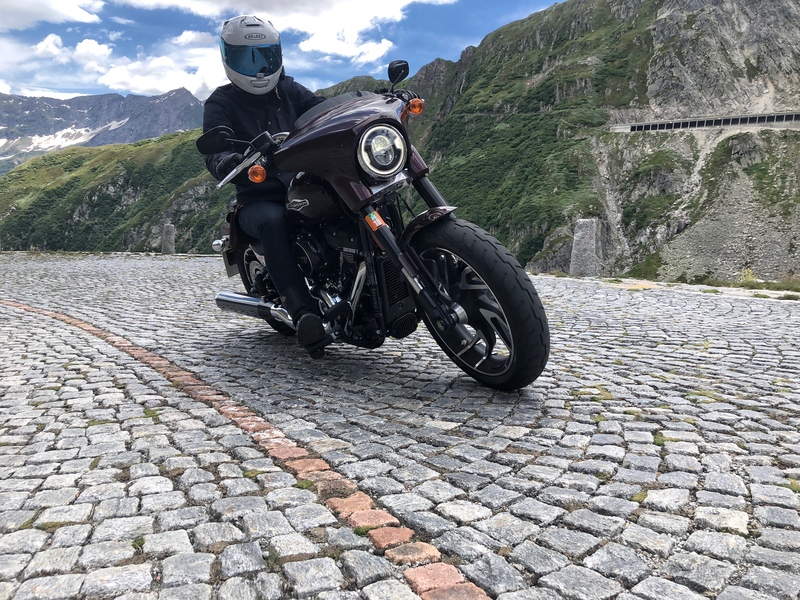 While I have my Dyna Street Bob® I knew that on a tour around the best mountain roads in the Alps with Tour1, it was time to try a bigger motorcycle – the 2018 Softail Sport Glide™ – and boy did it win my heart. It’s a big bike in a small package offering power on tap and plentiful torque for passing on hairpins or blasting past Sunday drivers. I always felt like she had so much to give! Harley really have done a superb job of distributing the load, improving the comfort and making a sick looking machine. The bike feels light and agile, and the ride comfort is like no Harley I’ve ridden, smooth and refined. The bike sucked up the tarmac giving a super smooth ride but with just the right amount of energy to keep its Harley soul. Character and comfort perfectly refined, even for the distance. You then add the wow factor with elegant lines combined with a stocky road presence, and I could see myself happily living this this beach; commuting with its practical luggage, while being a head turner for cruising and yet also offering great comfort for the longer tours. With 2,714 miles together, I can vouch first hand. Yeah, it’s not going to be the bike for everyone, but I can’t stress enough how well Harley have done with the new 2018 models, they really are a new breed of machines. This guy is a beast and I’d recommend getting a test drive, but I warned you….you’ll want one! 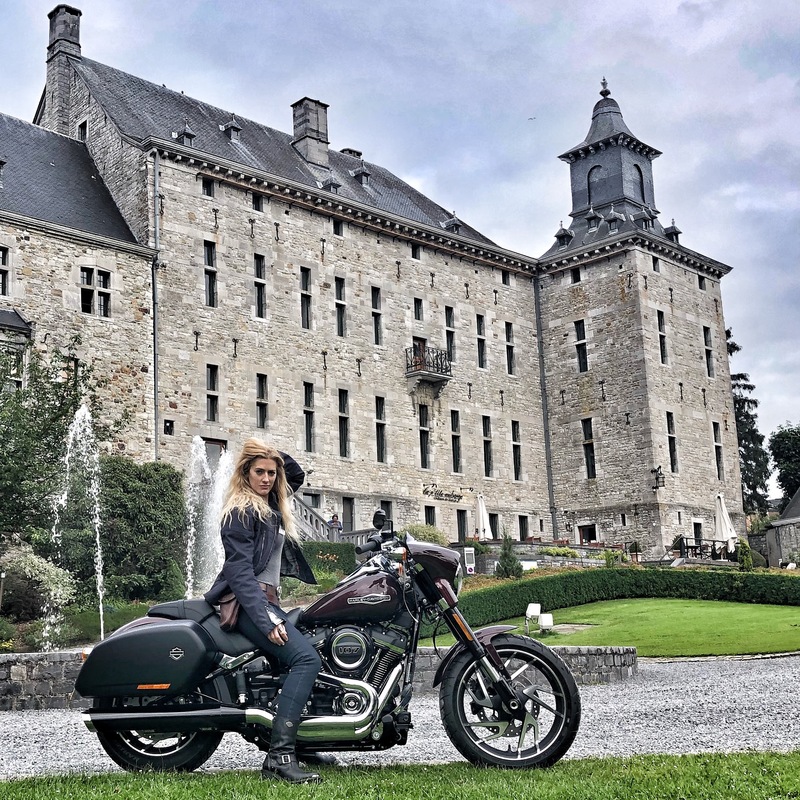 BBC Interview: does it matter where Harley’s are made? 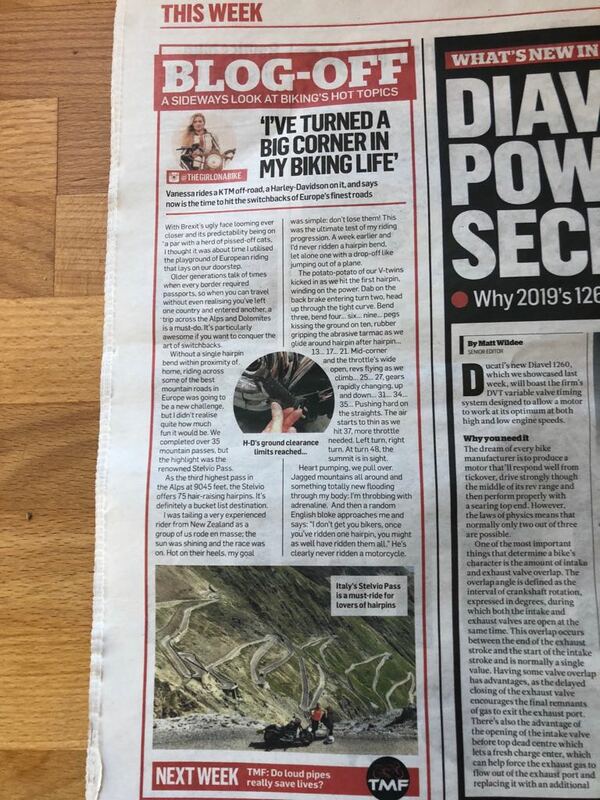 I’m absolutely buzzing to be a monthly columnist for the worlds biggest motorcycle publication, MCN, I’m let free to ‘blog-off’ and get revved-up about motorcycling. Make sure you buy the weekly publication to read it. And drop me a comment or message on Instagram if you have a topic you’d like to see me cover. 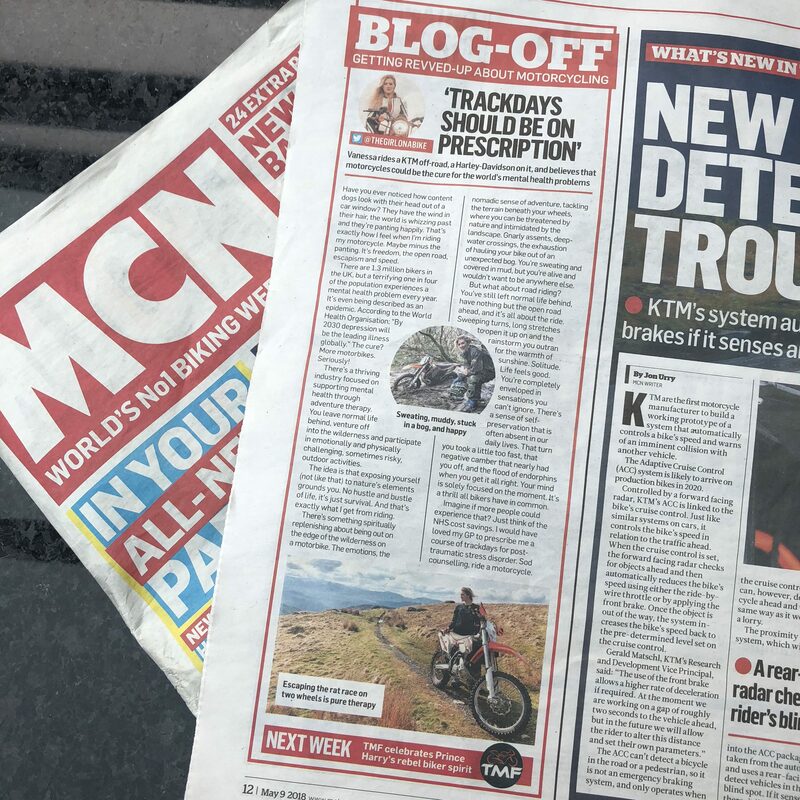 With nearly half a billion papers sold and more than 1.5 billion readers entertained and informed over its 59-year history, MCN can lay claim to being the world’s leading source of biking news. Motorcyclenews.com reinforces that claim with the same dedication and expertise which has made MCN’s voice the one the industry listens to, because we speak on behalf of you. It’s absolute honour for me to be working with MCN and I look forward to writing column after column for them, and maybe even more in time! Stay tuned. 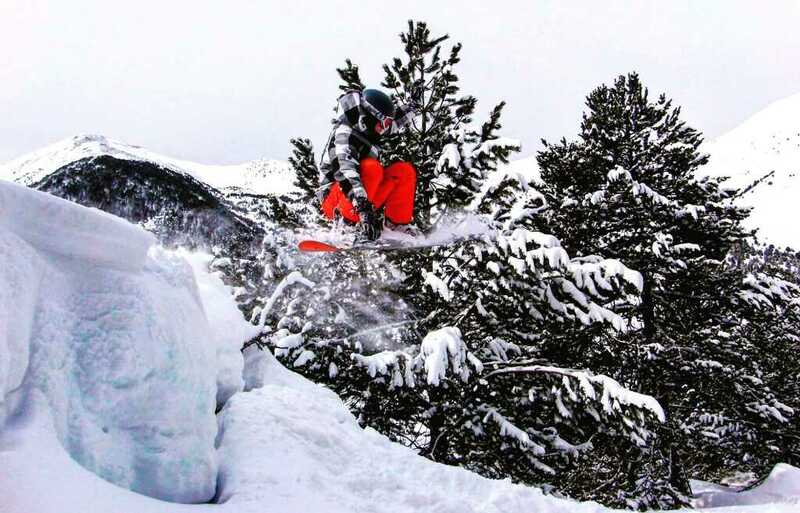 I’m honoured to be a float ambassador at Floating-Point, allowing to provide my friends with a 10% discount code. The feeling of laying back effortlessly in the warm Epsom salt floatation tank and drifting into a blissful, deep, meditative state is unbelievably rejuvenating. Reviving my mind and body. After just one hour I can so clearly see the breadth of beneficial effects, I reached a level of tranquillity, peace and relaxation that I’ve simply never reached before. 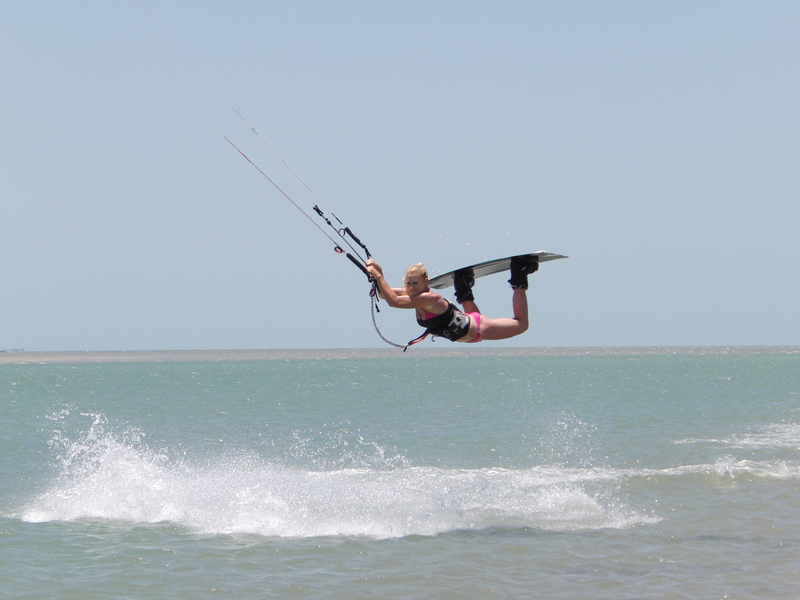 I’m hooked on floating! For more details please check out there website and remember to use my discount code for floating. 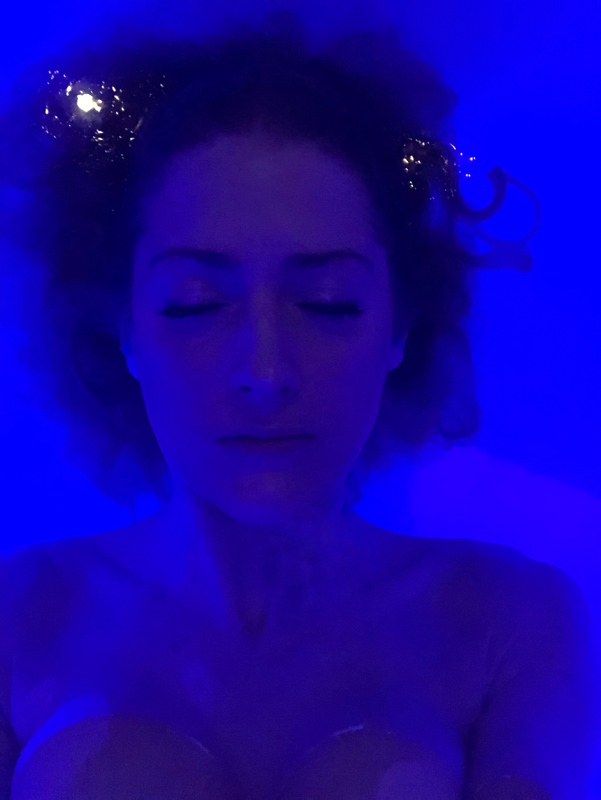 Floatation therapy at The Floating Point is the practice of lying back effortlessly in one of our world leading i-sopod floatation tanks and drifting into a blissful, deep, meditative state that rejuvenates and revives your mind and body. The solution is heated to skin temperature (35.5°C) and the environment in the tank is controlled so that the air is also skin temperature. Once you are settled, it is impossible to tell which parts of your body are in the water and which are not. This creates an environment similar to that of the Dead Sea but without the sensation of temperature or movement, which lets you float effortlessly on the surface of the water, enjoying a feeling of total freedom & weightlessness! Our Isopod tanks are the best on earth, specifically designed to block out all external distractions including sight, sound, tactile sensations and gravity. This environment brings long lasting and transformational experiences. Floating has become increasingly popular, as more people have learnt about floatation therapy’s remarkable benefits. Your first float might feel like magic; however floatation therapy is the result of thirty years of mainstream scientific research in human performance and wellness. Best of all, the effects of floatation are cumulative – the more often you float, the better it is for your health, happiness and performance.